We Brits love our takeaways. The UK takeaway market is worth a staggering £5.5 billion each year. Research also shows that New Year’s Day has emerged as the biggest single day of the year for sales of takeaway dinners delivered to the home, yet as we head into January are we are more likely to stay at home and cook as we await the first payday of 2017? Sometimes there is nothing I like better than to simply order a takeaway. The convenience, perusing the menus, ordering online or by phone, the taste and the variety of food on offer. Not to mention having hot food delivered to your door, ready to eat. However, there is always the cost to consider. As a treat, they are great, but order more frequently and it can soon make a big hole in your disposable income. There is also the health aspect to think about. A takeaway is so tasty but we are not always sure of the ingredients, and quantities that give us that taste. A Public Health Research report says that between a fifth and a quarter of people in the UK dine out or eat takeaway meals at least once a week and that food prepared out of the home tends to be less healthy than home cooking. But the good news is, we don’t have to miss out. And a home-made alternative to a takeaway can be healthier, cheaper and just as tasty - it just requires a little more effort and planing. 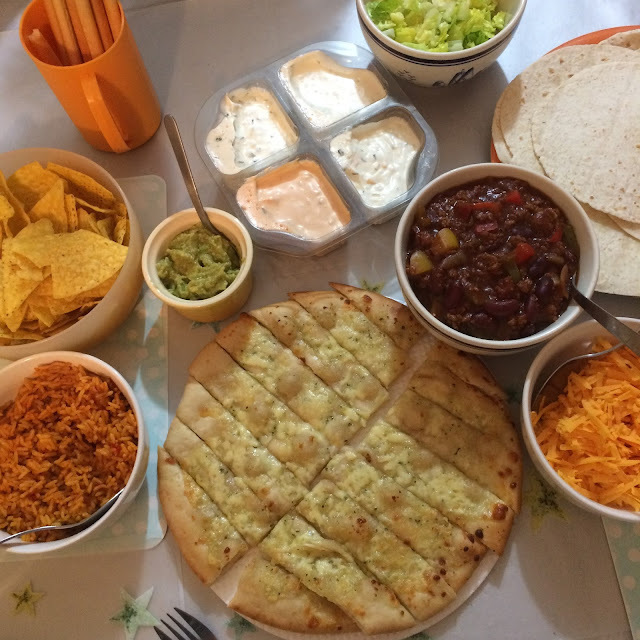 As you will see below our family of four enjoyed a Mexican family feast this week, cooking some of the food from scratch and adding accompaniments from the supermarket and it cost just £2.50 per person. To order the equivalent from a local takeaway delivery service would have cost nearly £50. Add chopped garlic and chilli powder and stir. Add the Quorn mince, chopped tomatoes and red kidney beans and simmer. Add water if necessary. Flavour with a stock cube or gravy powder and my special ingredient of a spoonful of cocoa powder. Continue to simmer for 15 – 20 mins. Taste to check heat add more chilli powder if required. 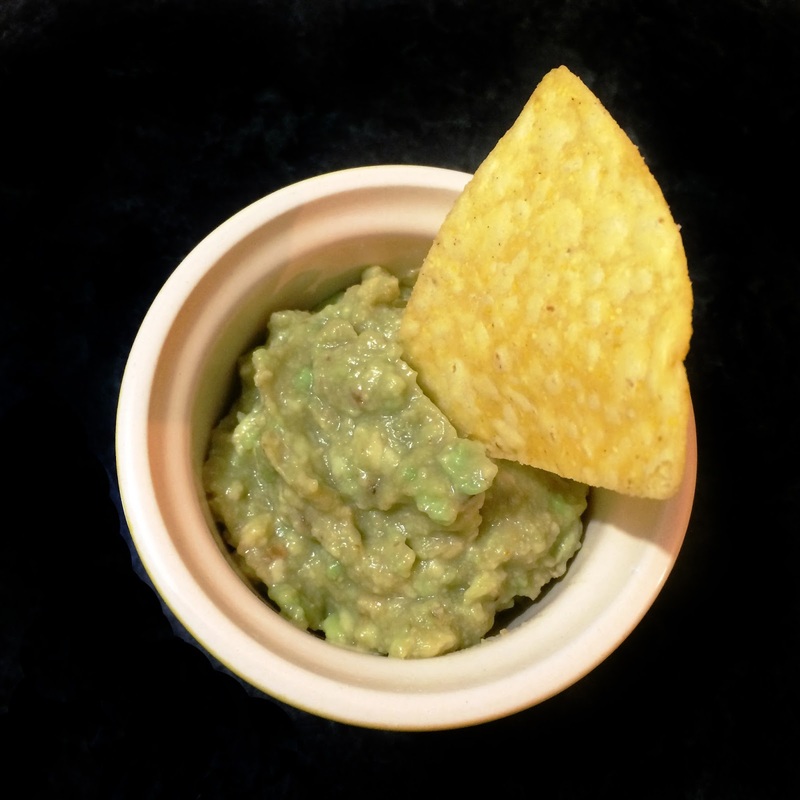 Half the avocado, remove the stone and scoop out the flesh with a spoon into a bowl. Add a dash of lemon juice, a tablespoon of tomato puree and a pinch of chilli flakes and mash together with a fork until smooth. Bake the garlic bread in the over. Cost: £10 for four people and there was enough left over for a meal the following night. Not only was it fairly inexpensive, it was a lovely family meal. We all sat together around a table sharing food. 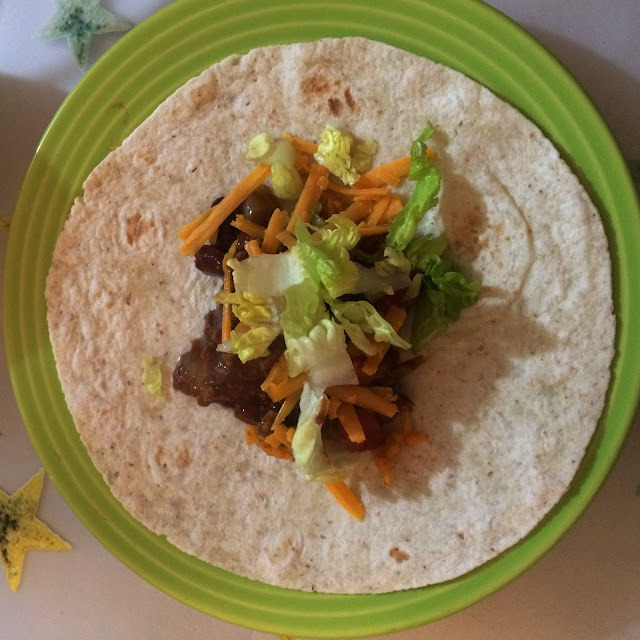 We filled the tortilla wraps to make tacos with rice, chilli, lettuce, dips and cheese. 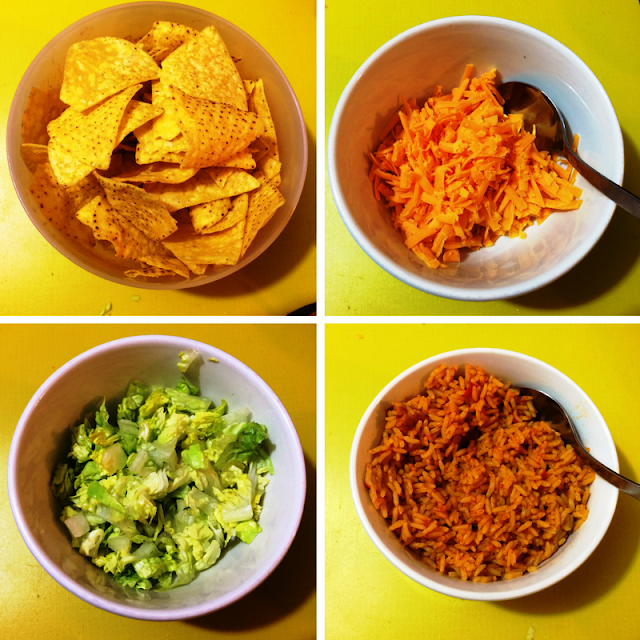 We topped the nachos with the same and also dipped them, the garlic bread and bread sticks in the dips and guacamole. Then finished it off with an ice- cream! The boys have described it as great, fantastic and fabulous. My Boys Club Rating: The boys were really keen to try and Mexican food is now the flavour of the month in our house. They even took some leftovers to school in their packed lunch. 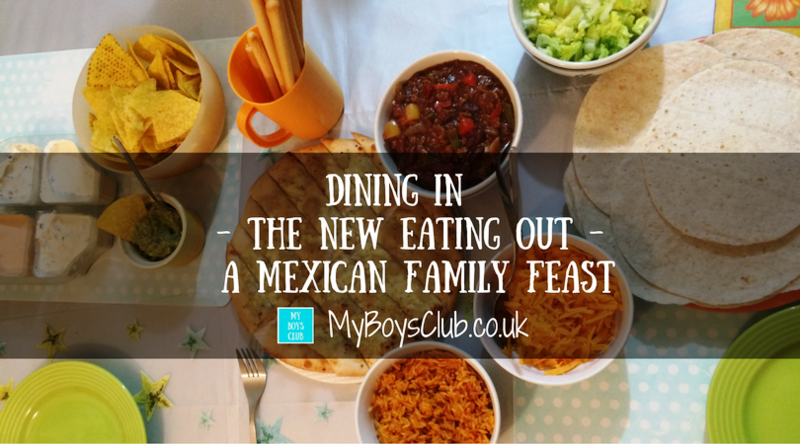 You can't beat Mexican food - in fact we are having fajitas tomorrow and Quorn tacos on Monday for #meatfreemonday. Girl after my own heart. 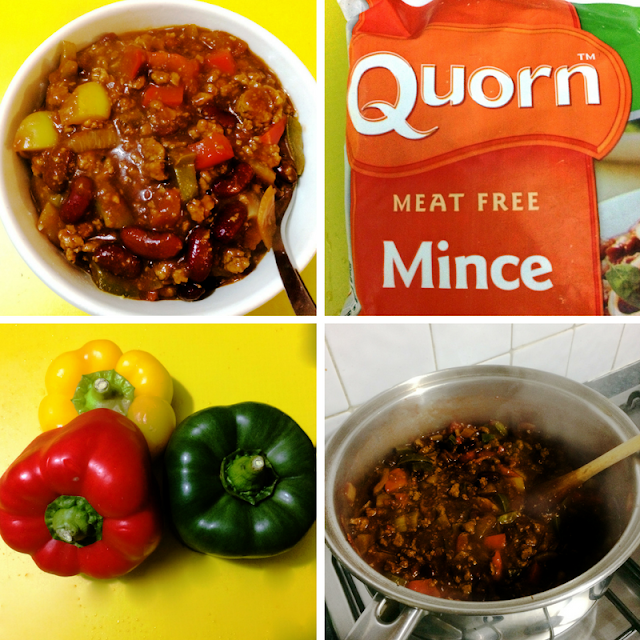 Quorn and Mexican... I now need to go make Mexcian... damn you!! mmmm ... now me too :) Now do we have the ingredients?